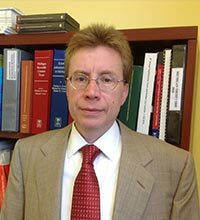 Chelsea estate planning attorney John A McDermott concentrates his law practice in the areas of Estate Planning and Elder Law. The firm represents clients of all ages in Estate Planning matters including Trusts, Wills and Durable Powers of Attorney. Mr. McDermott also has extensive experience in Elder Law matters including qualifying for Medicaid and Veterans benefits. 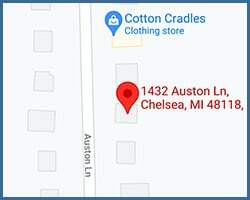 The firm is located in historic Chelsea, Michigan just off Interstate 94 ten miles west of Ann Arbor, MI. In Mr. McDermott's Elder law practice he regularly assists clients who have a loved one in need of long term care (such as in a nursing home) to qualify for Medicaid and Veterans benefits. This would include Medicaid home care or nursing home benefits and Veterans benefits for home or assisted living care. By qualifying your loved one for government benefits we typically save families tens, and many times hundreds, of thousands of dollars. 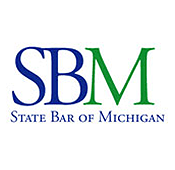 Additionally we can help families to protect the family home from Medicaid Probate Estate Recovery. The firm is also able to refer clients to a geriatric case manager RN (please see our resources page) to assist with determining care options and, if necessary, placement in an appropriate assisted living facility or nursing home. As a Chelsea estate planning lawyer, Mr. McDermott focuses on assisting clients minimize the expenses of asset transfers on death. Typically this involves preparing Living Trusts to avoid Probate. Your Estate Plan will also contemplate possible disability and include a financial Durable Power of Attorney to protect your assets from the catastrophic costs of long term care. A Medical Durable Power Attorney and Living Will are also documents typically prepared for our Estate Planning Clients. A Last Will and Testament is another estate planning tool that the firm regularly prepares. The firm can also assist clients with Trust Administration upon the death or disability of the person who made the Living Trust. We also frequently represent Personal Representatives with traditional Probate after someone dies. We can assist with Guardianship and Conservatorship proceedings in Probate Court if someone unfortunately is disabled and does not have an estate plan. The firm can also assist with an appropriate estate plan for any child with special needs so that their inheritance can be properly managed for them and so the inheritance does not disqualify them from government benefits. Contact the law firm of John A. McDermott today for your Estate Planning and Elder Law needs. 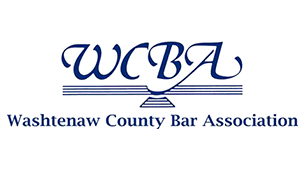 Our centrally located Chelsea Michigan law office, just west of Ann Arbor, complies with the ADA's accessibility requirements and ample free parking is available. The staff is highly efficient, knowledgeable and experienced ensuring a prompt economical delivery of services. Chelsea estate planning lawyer John A. McDermott is dedicated to representing the rights of the elderly and disabled of any age. 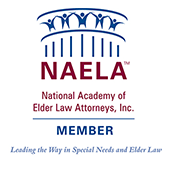 If you need an Elder Law or Estate Planning attorney please browse this website and then contact us by phone or by using the Contact page.